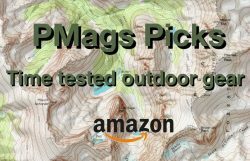 A review of The Ultimate Hiker’s Gear Guide by Andrew Skurka. 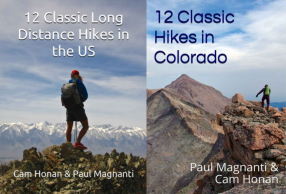 A guide that is aimed towards the backpacker that wishes to hike more and camp a bit less. Full Disclosure: I am assisting Andrew with a trip in Rocky Mountain National Park in August. Great trip and an opportunity to apply some of the concepts of the book ! Andrew Skurka’s new book’s main thrust is to get backpackers to enjoy the hiking part of backpacking more and struggling a bit less while hiking to get to camp. The book’s main audience is perhaps an experienced backpacker who wishes to lighten their load a bit in order to hike more and camp less. As an experienced long distance hiker, I am not the book’s main audience. In fact, much of my own style already mirrors that of Andrew: More of a minimalist than an ultralighter. Where the gear I bring is dependent on the trip, conditions and desired aim. Our equipment choices may differ (and was I once described as that “I make hiker trash look more trashy” 😉 ), but the overall ideas and philosophy are very similar. But the book is not really aimed towards someone like me. It really is aimed towards someone who is a traditional backpacker. The type who thinks that it just ain’t backpacking unless you haul 40 lbs+ of stuff on your back and that trudging uncomfortably to a camp site and call it good. Still, I was curious to hear what she thought of Andrew’s book. So, here’s a someone’s thoughts on The Ultimate Hiker’s Guide. 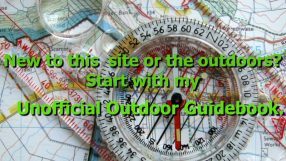 Andrew Skurka’s Ultimate Gear Guide is a book that definitely works well for a person wishing to transtion to more of a hiking and less camping style of backpacking or an experienced backpacker wishing to fine tune their techniques a bit. Going more minimal is not just about miles but enjoying yourself while HIKING. Andrew’s book helps a person attain that goal. A favorite book of mine and one that I recommend is Lighten Up! by Don Ladigan. Ladigan’s book provides uber-concise info; Andrew’s book provides more background information and expanded information. Honestly, I think both books are perfect for the person wishing to transition into a style different from the traditional backpacking mode and complement each other well.